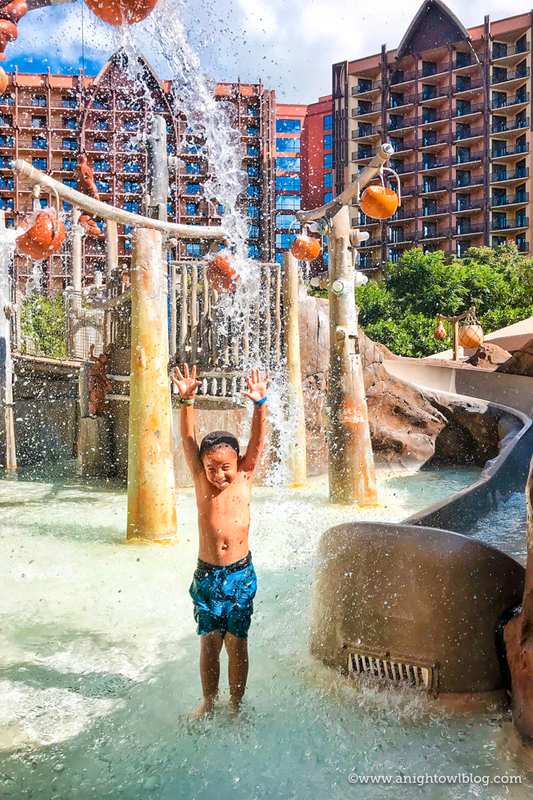 From Dining and Accommodations to The Disney Difference, discover 10 Reasons to Take Your Family to Aulani – A Disney Resort & Spa in Hawaii. Hi friends! 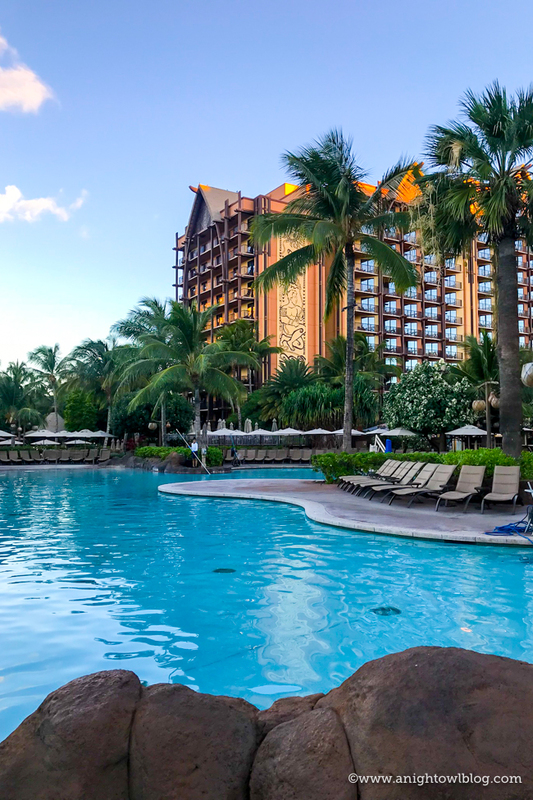 If you follow along with us on social media, you may have noticed that our family had the amazing opportunity to visit Aulani – A Disney Resort & Spa in November of this year! 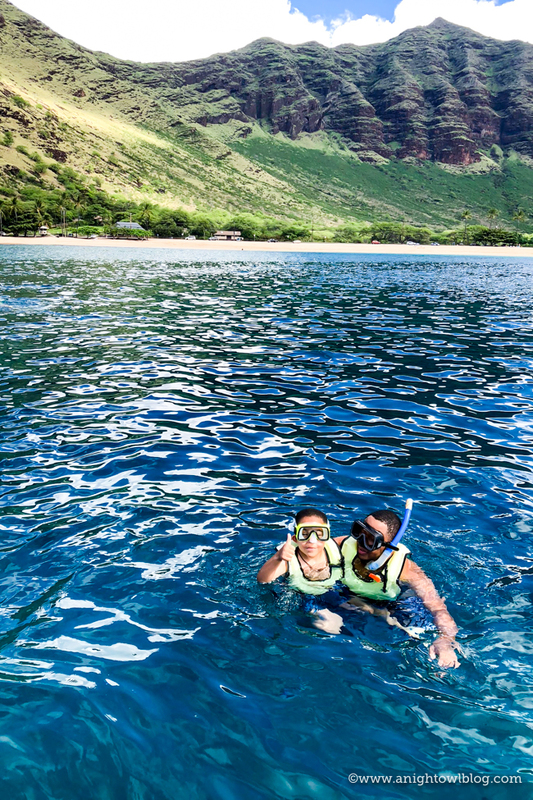 Hawaii holds a special place in our hearts as it’s where we honeymooned, but this time around we packed up the boys (at ages 8, 6 and 2), flew across the Pacific, for a family vacation of a lifetime! Now there’s no argument that Hawaii is an ultimate vacation destination, but I think the number one question I got from family, friends and readers alike upon our return was WHY families should choose Aulani over other resorts and experiences on the various Hawaiian islands. Oh and friends, do I have the answer. TEN answers to be exact. 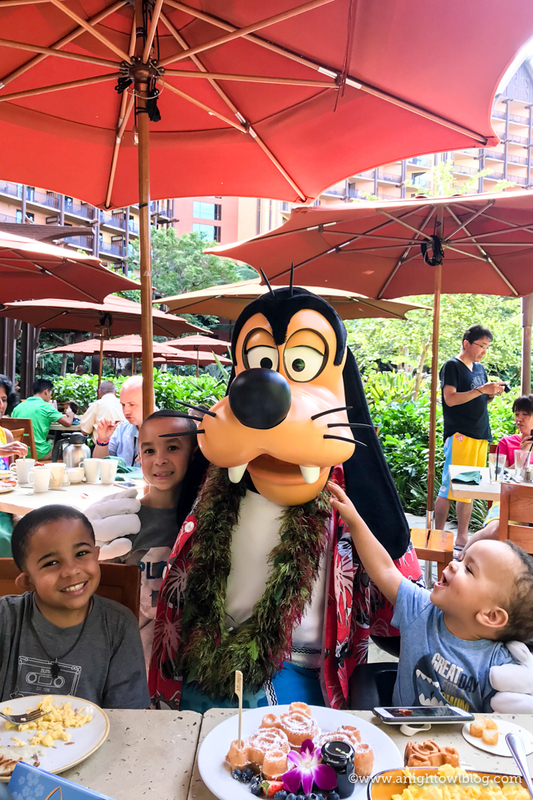 I’m going to break down for you the top 10 reasons that we think you should take your family to Aulani – A Disney Resort & Spa! 1. THE DISNEY DIFFERENCE. I’m starting here because it really is an underlying theme of our entire stay at Aulani, in a word it was exceptional. Disney just does things better, and if you’re a fan of Disney, then you likely already know what I’m talking about. 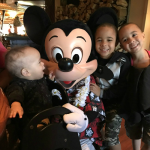 My family adores Disney vacations because not only is there something for everyone in the family, taking into account our little guy at age 2 all the way up to adults and grandparents alike, but everything is done in top notch fashion. 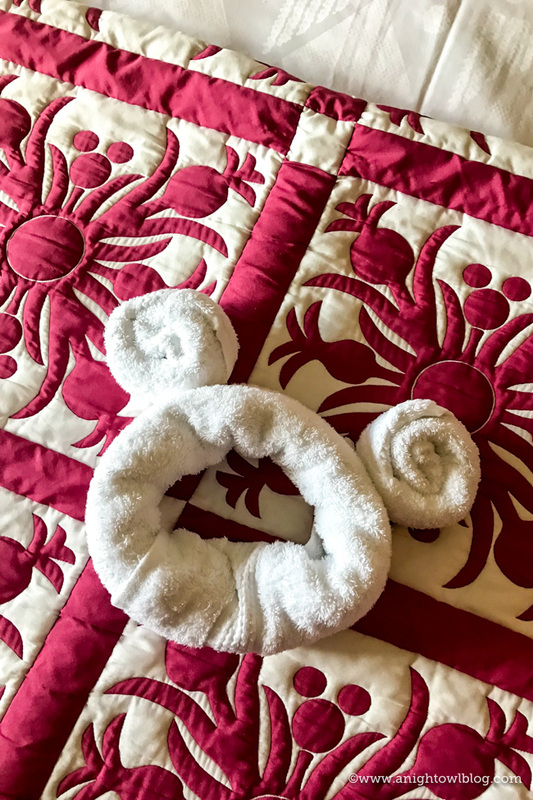 If you’re a Disney fan like we are, then you’re going to appreciate seeing characters and finding hidden Mickey’s throughout the resort. 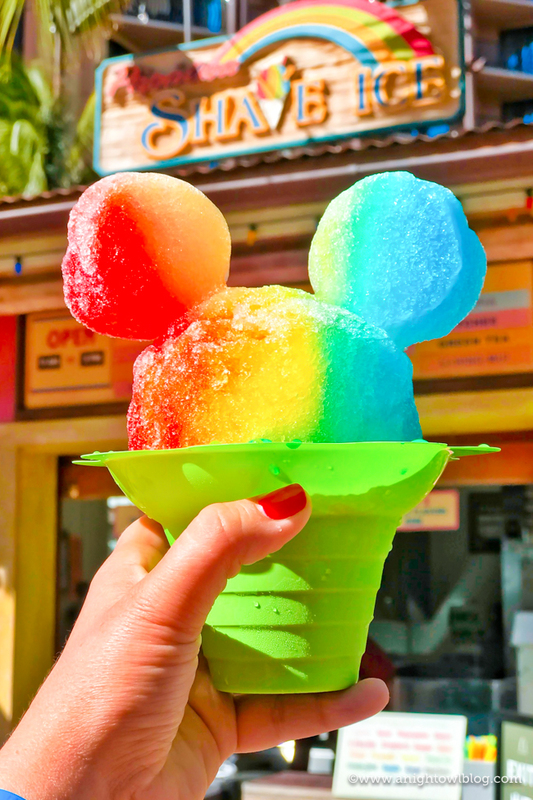 You’re going to love the Mickey-shaped treats and access to a library full of Disney DVDs (we’ll talk about that more later). 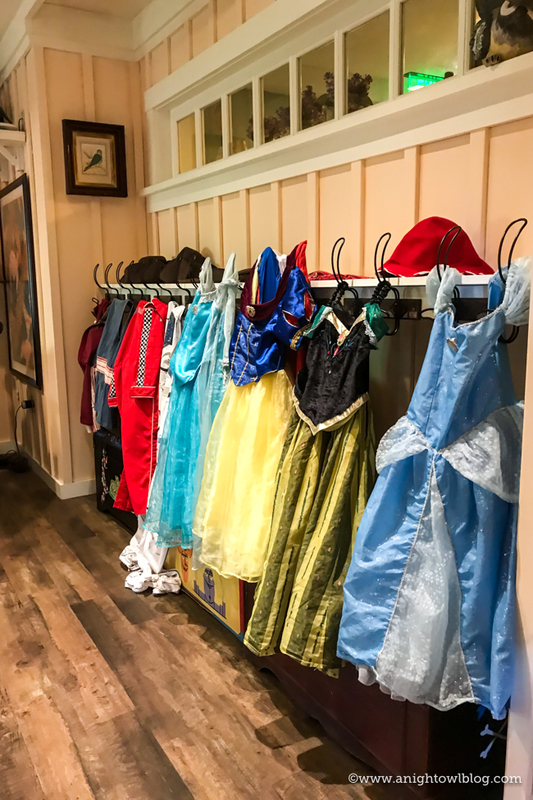 But even if you’re not Disney-obsessed, what you’ll find is attention to detail in every aspect of your stay. From the moment you step foot into the resort to the moment you leave you’ll be greeted by cheerful and helpful staff ready to make your family’s stay as comfortable and as memorable as possible. 2. LOCATION. Oh how I love the island of Oahu! It’s gorgeous and has so many of the tourist stops you might have on your list for a Hawaii visit. However, I love that Aulani isn’t smack dab in the middle of all the tourist attractions. 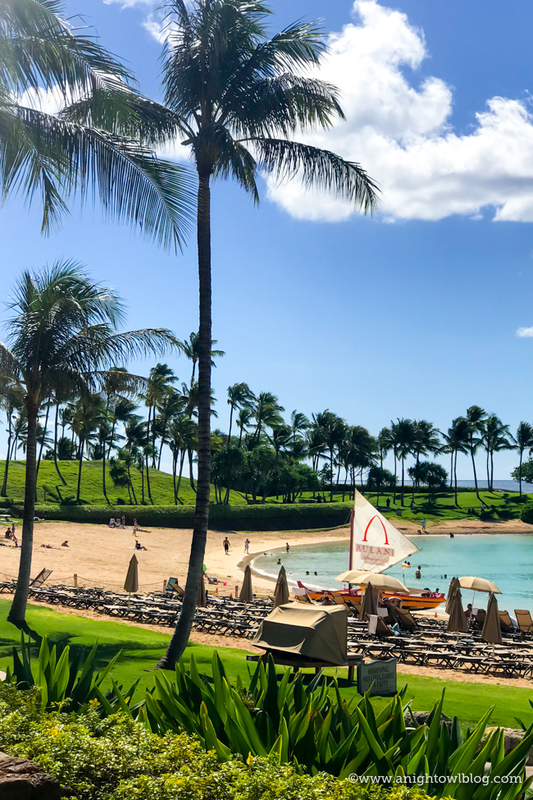 You’ll take about a 30 minute ride west from the airport to Ko Olina, where Aulani’s 21 oceanfront acres are nestled between verdant mountains and serene ocean waters. You’ll get to enjoy all of the glory that the island has to offer without the crowds. And when you’re ready to visit the tourist spots, if those are on your list for your stay, you’re just a short ride away. 3. ACCOMMODATIONS. 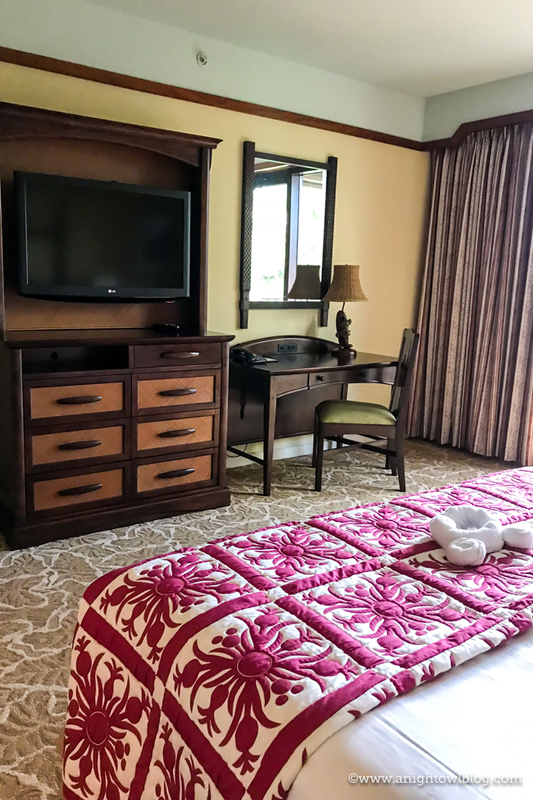 I loved our rooms at Aulani! We stayed in a 1-bedroom villa, perfect for our family of 5. Andre and I stayed in the bedroom and for the most part kept our 2-year old with us in there in a pack-and-play that was already in the room (with sheets, I was so impressed by that)! The boys had an option of a pull out sofa bed or even a twin bed that pulled out from under the TV and THEY were impressed by that. There was a two-room bathroom, one with a shower, toilet and vanity, and another with a soaker tub, closet and vanity. I loved that each could be closed off and used at the same time. We had a small kitchen and even a family table, which came in so handy for lazy mornings, snack time and in between meals and even those times when we were hungry but the kids were passed out from all the day-time fun. There is a laundry closet in case you need to wash while you’re there. But perhaps my favorite feature was our two balconies! We had a garden/partial-ocean view that was out of this world. 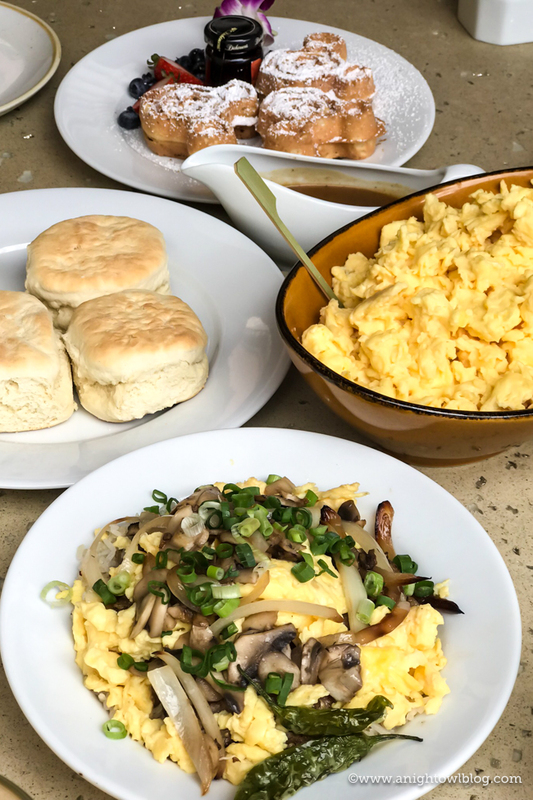 I spent each of our mornings enjoying the sunrise drinking my morning coffee (that I made from the comfort of our own kitchen) on the balcony. It was honestly one of my favorite resort rooms we’ve ever stayed in. 4. HAWAIIAN CULTURE. One aspect I loved about Aulani is the Hawaiian culture that is weaved throughout every aspect of the resort. 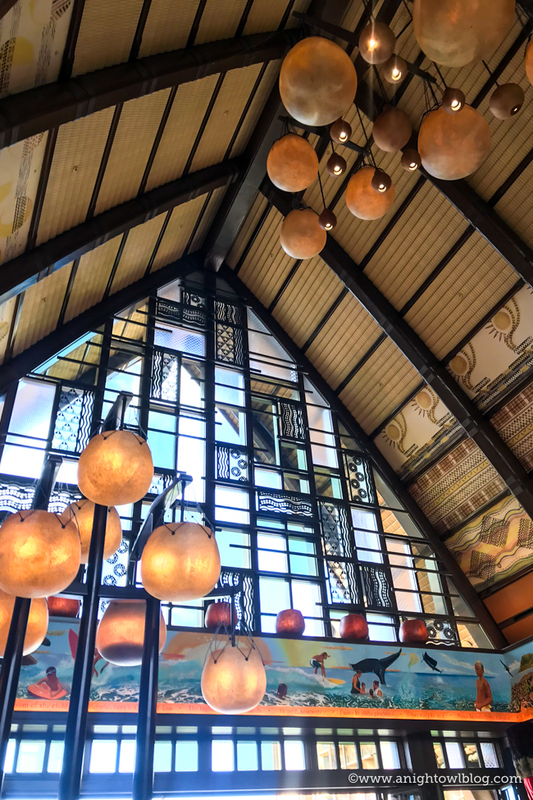 They say it’s Hawaii first, Disney second and you can totally feel that, from the Contemporary Hawaiian art and design throughout the Resort to The ‘Ōlelo Room, where you can and enjoy the sights, sounds and flavors of Hawaii. 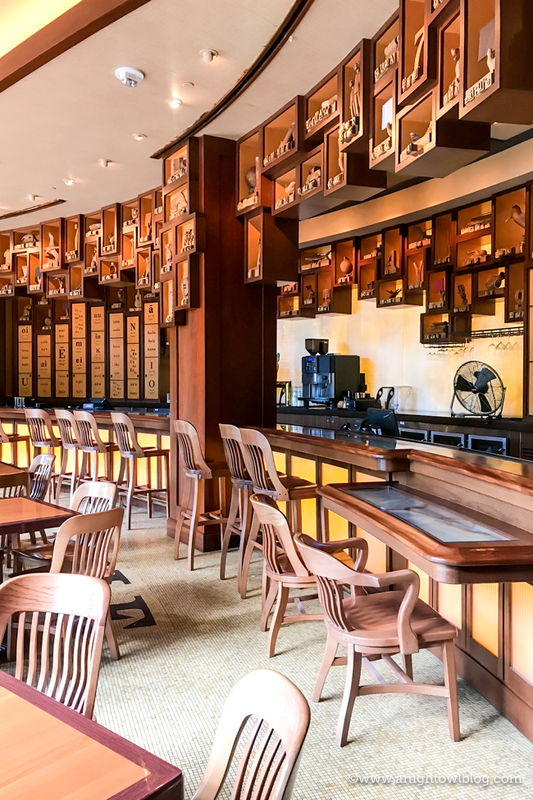 ‘Ōlelo (pronounced oh-leh-low) is Hawaiian for “word,” or “to converse”—and this lounge truly celebrates the Hawaiian language. Here, the décor features wooden carvings of common objects, with labels that convey their Hawaiian names. 6. AUNTY’S BEACH HOUSE. 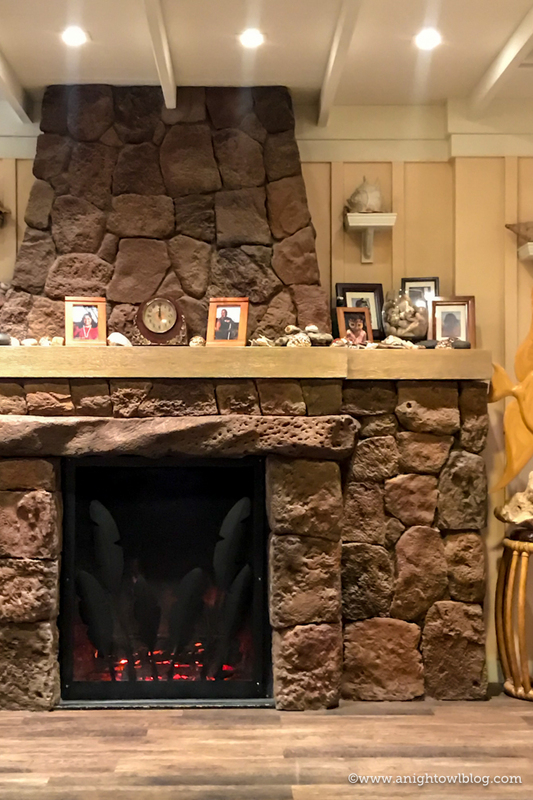 If you’ve heard anything about Aulani as the place for families to vacation, then you’ve likely heard about Aunty’s Beach House. 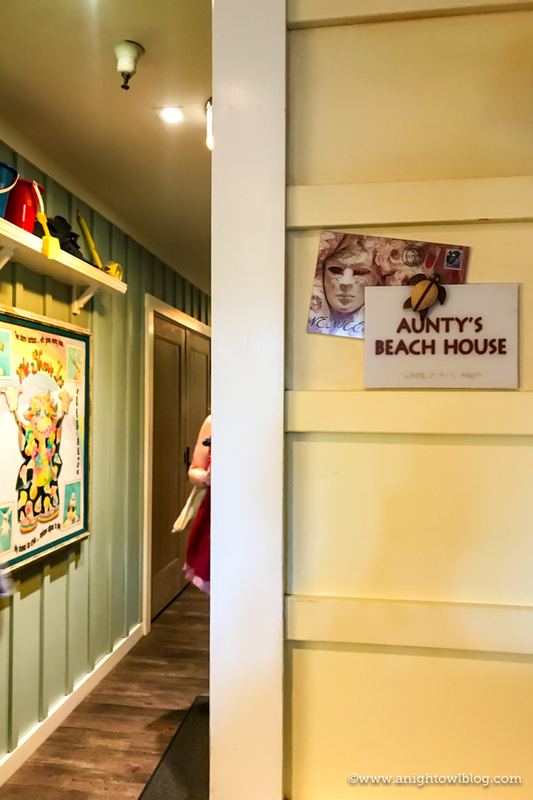 Aunty’s Beach House is Aulani’s interactive kids club for ages 3-12. Visits to Aunty’s are included in your nightly rate and all of the experiences—most complimentary—are specially designed to engage and immerse kids as they explore the culture, art and music of Hawaii—from Hawaiian storytelling to Keiki Hula lessons. Our boys LOVED their time at Aunty’s! You’ll hear it a lot around the resort that most kids, once there, do not want to leave. We experienced the same phenomenon. If all your kids fit in that age range then you’re free to do what you want during the time your kids are at Aunty’s! Reserve a spot at ‘Ama’Ama for a solo lunch or dinner, escape to an adults-only pool area or even book an appointment at Laniwai – A Disney Spa. It’s such a unique experience and opportunity and honestly sets Aulani apart from any vacation destination we’ve taken our family to. 7. LANIWAI – A DISNEY SPA. I mentioned that while your kids are at Aunty’s, you’re going to want to book some time at Laniwai. 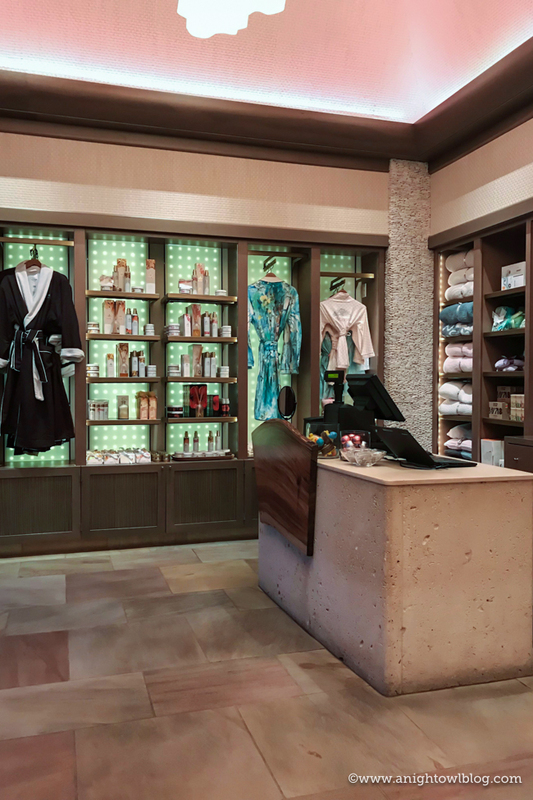 The first-ever spa created by Disney, Laniwai is a unique resort spa experience that specializes in catering to your every need — whether you come alone, as a couple or with the whole family. The Hawaiian word “laniwai” (pronounced lah-nee-vai) means “freshwater heaven,” and the spa lives up to its name with more than 150 treatments. 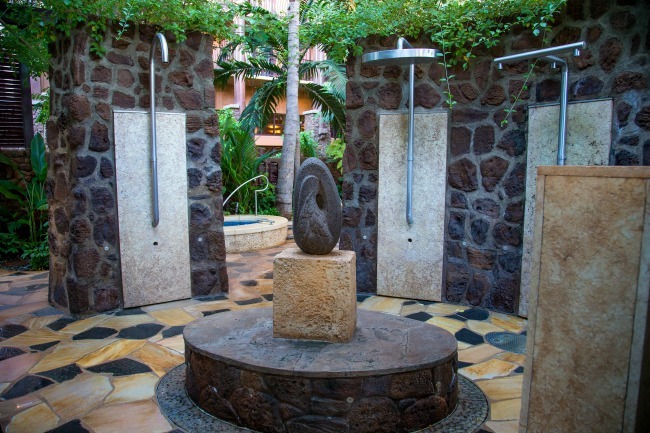 With 18,000 square feet indoors and 5,000 square feet outdoors, the area includes 15 treatment rooms, Laniwai is home to Oahu’s only outdoor hydrotherapy garden–Kula Wai. 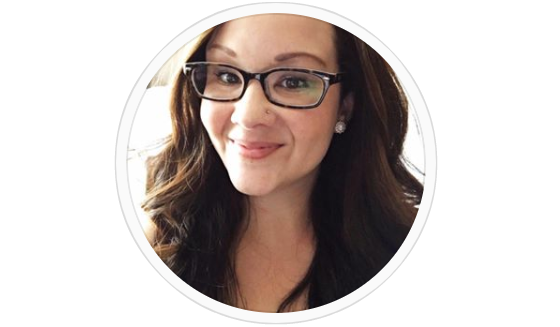 As for pampering, you can choose to indulge in a host of services that include everything from rejuvenating signature massage therapies and herbal body remedies to salon services and an on-site fitness center. I chose to book a Lomilomi massage during our visit and wouldn’t have traded it for the world. It is a great way to kick off your vacation full of relaxation! Be sure to get to your appointment early to unwind before your service AND plan to stay after to enjoy all the benefits of the spa and outdoor hydrotherapy garden. 8. KA WA’A LUAU. 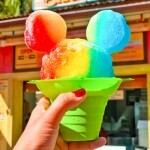 KA WA‘A, a luau at Aulani, a Disney Resort & Spa offers you an imaginative dining and entertainment experience. “KA WA‘A” or “the canoe,” symbolizes the incredible journey across the ocean by the Hawaiian people—from ancient times to the present day. 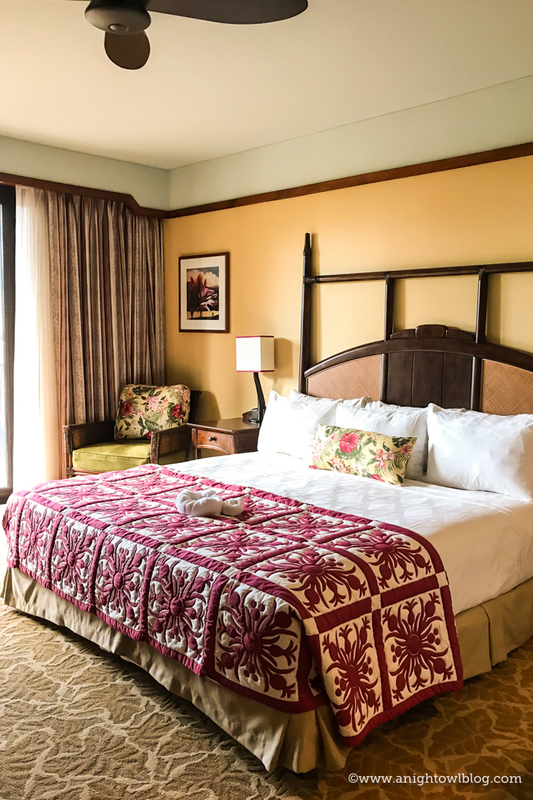 In keeping with the cultural roots of Aulani Resort, KA WA‘A luau recounts tales of Oahu and the resort’s surrounding ‘Ewa plains, as well as the legends of the demigod Maui. 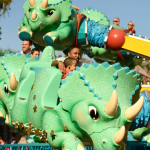 Before the luau, you can enjoy special pre-show entertainment and family activities. 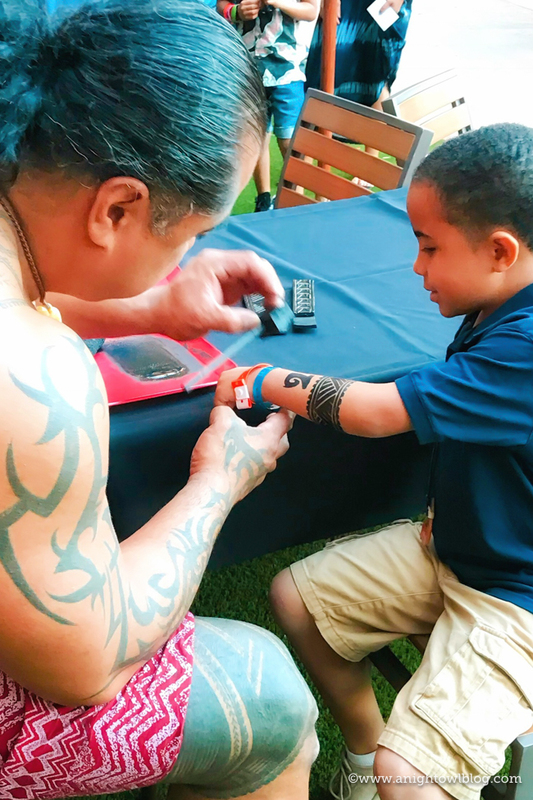 Our boys particularly enjoyed getting “Maui-like” temporary tattoos and trying their hand at ku‘i kalo (taro pounding) and kāpala (printing). I’ve been to a few luaus and I have to say what I loved about KA WA‘A was first of all that it was right at the resort, no transportation needed to take your family on this adventure. But I also loved how interactive it was for the children. There was plenty for them to do before the show but even once it started they involved the children in dances and various aspects of the luau. 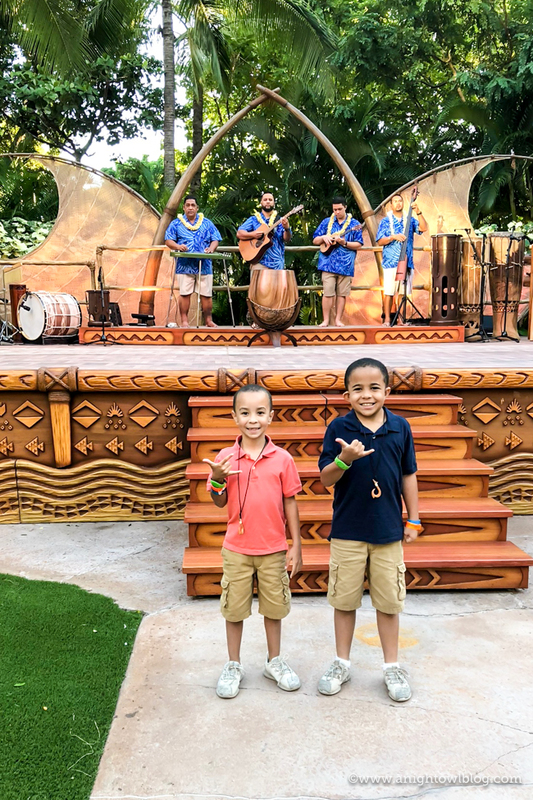 Our boys had so much fun, which made the whole experience the perfect luau for the family. 9. WATER FUN. You know that the resort has to be amazing when we’re JUST NOW getting to one of the most notable features of the resort! The beach and pools at Aulani are spectacular. 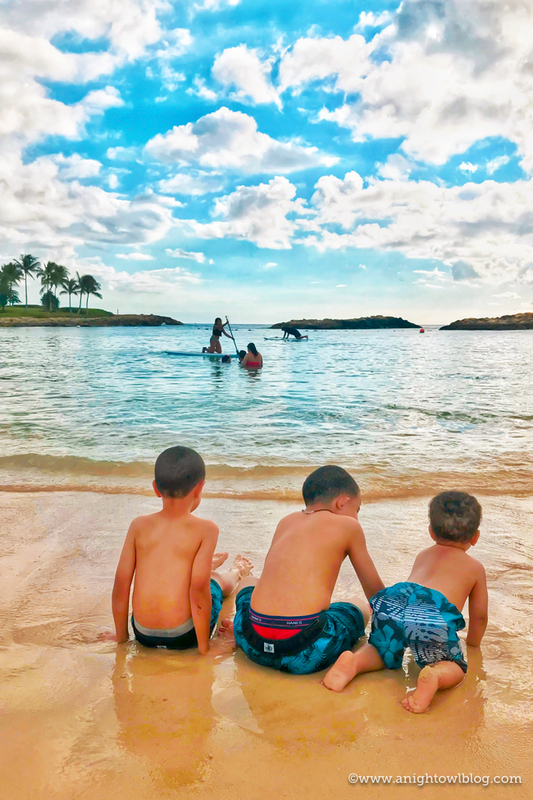 For starters, Aulani is nestled up against the Ko Olina Lagoon, perfect for beach time with the kids. You can check out sand toys and make a day of it playing in the pristine and calm ocean water. But then add to that the pool areas and you’ll be blown away! You can hurtle down water slides, float along a lazy river, snorkel in a private lagoon or simply admire the view from a breathtaking infinity-edge pool. The boys had so much fun exploring a new pool and water area each day we were there. 10. EXCURSIONS. 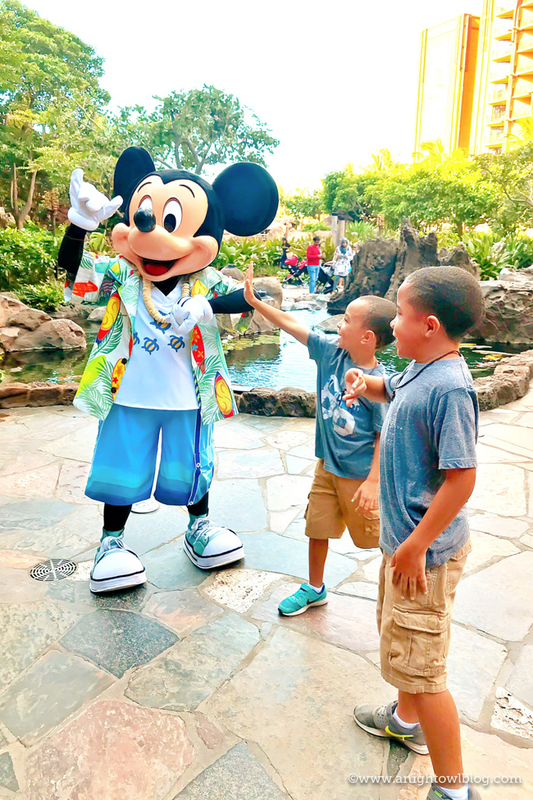 While I truly think that you can have a fulfilling and amazing vacation without stepping out the front door of the Aulani resort, if there are excursions on your list outside of Aulani, Disney makes it easy to book online or right at the resort! Anything you want to do on the island is right at your fingertips. 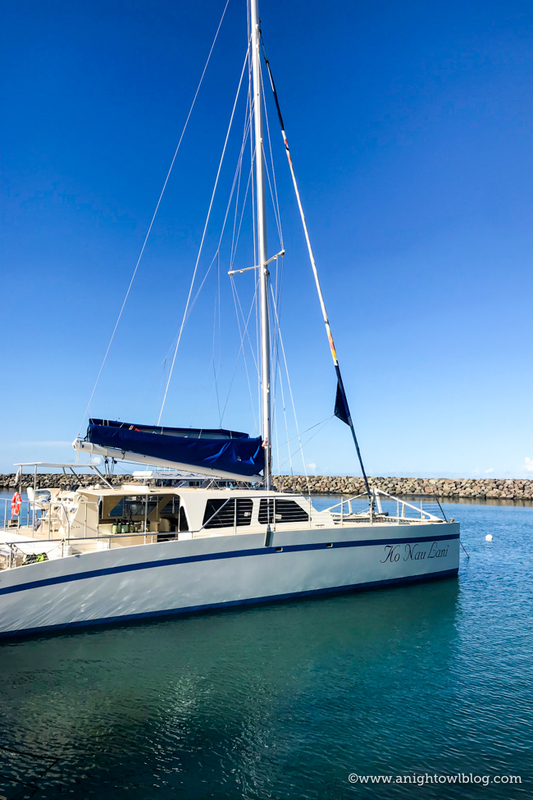 We had the awesome opportunity to embark on their Catamaran Experience and oh, what an experience that was! It was my boys first time on a boat on the ocean and they were stoked. Disney made it so easy, we hopped on the bus in front of the resort and were whisked away to our Catamaran for the day. The weather was perfect, the water stunning and blue and the surrounding rolling green mountains were breathtaking. I spent so much time just taking it all in. We saw dolphins and sea turtles from the boat then at one point they anchored the boat and we got to hop in the water! 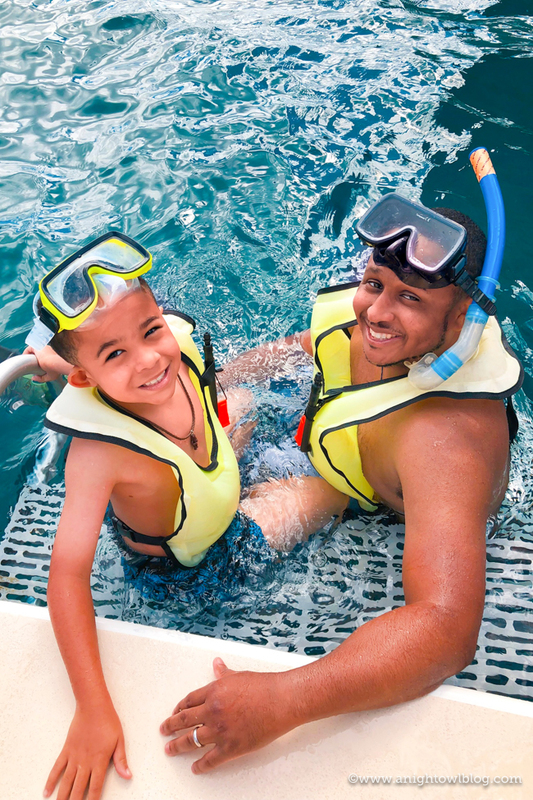 We snorkeled with sea turtles and fish – I wouldn’t trade that experience for the world. I would definitely recommend the journey out with your family too! I think it was a favorite for the boys. So there you have it. 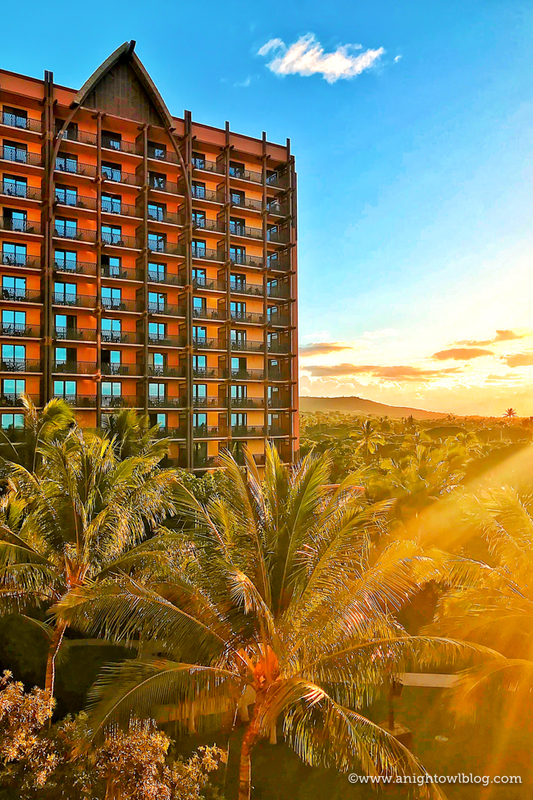 If you were on the fence about booking an Aulani vacation, I hope I pushed you right over. Having experienced it all first hand, I have to say that hands down it is the place to vacation with your family in Hawaii. 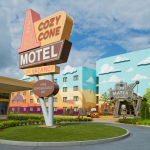 From the accommodations to dining, and the Disney difference, there is no other place we’d rather stay! I’m already daydreaming of how we can journey back. Winter Offer: Save up to 30% on an Ocean or Partial Ocean View room on stays of 5+ consecutive nights from April 9, 2018 – June 6, 2018. Book by January 10 and receive a $150 Resort credit. If you’re headed there, be sure to let us know! Or if you’ve been, we’d love to hear your experience.